Already boasting the best beach in the world amongst its many accolades, Frégate Island has this week been bestowed with the much-coveted TripAdvisor Certificate of Excellence. Awarded only to establishments which consistently win rave reviews on online travel guide TripAdvisor, the prize places Frégate amongst the top 10% of the popular portal’s 400,000 properties. Home to a lush jungle, seven superb beaches and 16 of the most chic cottages known to man, it would be easy to think that winning the award was a stroll in the park for the idyllic island. 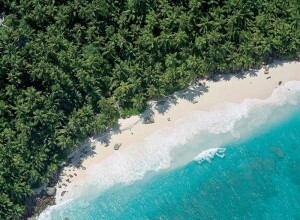 Not so, says managing director Paul van Frank, who singled out his team’s efforts in consistently raising the bar to offer customers a truly unique and unparalleled tropical island experience. It would seem that that the efforts of the Frégate Island team have been well worth their while, however, with the exclusive establishment successfully maintaining an overall TripAdvisor rating of at least four out of a possible stars over the course of 12 months. Voted not by an elite panel of judges but rather the customers themselves, the award is a clear indicator of Frégate’s pedigree. Discover the magic for yourself and head over to Vladi Private Islands to take advantage of a range of exclusive offers and book your own Frégate Island Private escape today.